Boatmatch charges the lowest brokerage fees in the industry on the fairest terms. Buyers and sellers using boatmatch are able to agree the best deals because our brokerage fees are so low. Our experienced brokers will closely monitor sales, provide qualified advice to buyer and seller, manage contracts and see every transaction through to a safe, secure and successful conclusion. Buying your new boat with Boatmatch.com should be an enjoyable experience, we want to ensure the transaction takes place smoothly and safely with the minimum of fuss. In order to safeguard both buyers and sellers boatmatch closely monitors the sales process providing expert advice when necessary. If you require help or information at any time please contact boatmatch for assistance. If you have purchased a boat before you will appreciate that certain criteria must be met before you proceed with the purchase; you must have proof of ownership, knowledge of any charges against the boat and we recommend you commission a full survey. Boatmatch.com has linked up with the leading marine finance and insurance companies to provide the best terms for clients wishing to finance their new boat. Please talk to us in the first instance. 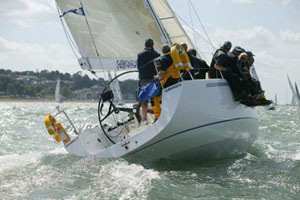 Sellers are required to provide Boatmatch.com with proof of ownership as part of the registration process. As part of the contractual process, the buyer or his representative will need to establish who has title and to establish whether there are any charges against the boat, such as a marine mortgage. Boatmatch.com recommend that all boat buyers instruct a professional surveyor to provide a written report on the boat and its condition. Please ensure that your surveyor is a member of a recognised professional body and has appropriate insurance. English law applies to all transactions. 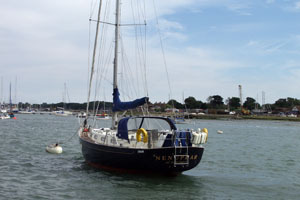 Boatmatch.com uses a sale contract based on the International recognised British Marine Federation contract for the sale or purchase of a second hand vessel. It is one of the exclusions - principally craft intended solely for racing plus other minor categories. The EEA includes all EU States, their overseas territories and dependencies and Iceland and Norway. The details below indicate the VAT rulings within the EC. While Boatmatch.com will assist on VAT matters it is the responsibility of the seller to confirm any VAT liability with their local VAT office. This notice explains customs arrival/departure requirements for private individuals who sail their pleasure craft to and from the United Kingdom and within EU waters. For the purpose of this notice, a pleasure craft is defined as a vessel which at the time of its arrival in the UK, or at the time of its departure from a port in the UK, is being used for private recreational purposes. What documents will be required to provide proof of the VAT status on a used vessel? invoices for materials used in the construction of a 'Home-Built' vessel. Certain vessels that were in use as private pleasure craft prior to 1 January 1985 and were in the EU on 31 December 1992, may be deemed VAT paid under the Single Market transitional arrangements. As Austria, Finland and Sweden joined the EU later, the relevant dates for vessels in these countries are 'in use' before 1 January 1987 and moored in EU on 31 December 1994. After this date there were no further transitional arrangements agreed by the EU Commission for subsequent EU expansions. If you are unable to provide any of the above for used vessels kept in the UK you should, whilst cruising within the EU, carry a Bill of Sale (if applicable and between two private individuals in the UK). Whilst this is not conclusive proof that VAT has been paid, it does indicate that the tax status is the responsibility of UK customs authorities. It is also advisable to contact the relevant authorities in the Member State you intend to visit, or their Embassy in the UK, to confirm what documentation will be required in advance of your voyage. When buying a used pleasure craft from any VAT registered business in the EU, you should make sure that the invoice shows separately any VAT which that business has charged to you on supply of the pleasure craft. If the invoice does not show VAT separately you may have difficulty in demonstrating that VAT has been paid. If you are buying from a business that does not charge VAT on the transaction or from a private individual in the EU and the seller states that VAT has previously been paid on the vessel, you should obtain evidence from the seller that VAT has previously been accounted for. Will I have to pay taxes or duties on my pleasure craft? Vessels less than 12 metres long are potentially liable to customs duty when imported from outside the EU and all vessels designed or adapted for recreation or pleasure use are potentially liable to VAT. If you are temporarily importing your boat from outside the EU, it may qualify for relief from these charges as described in Section 5. If you are permanently importing the boat on transfer of your residence from outside the EU, it may qualify for the relief described in sub-section 3.15.
it has undergone no more than running repairs outside the EU that did not increase its value. For more information refer to Notice 236 Customs: Importing returned goods free of duty and tax. Can a vessel lose its VAT paid status? VAT is due on the importation of any vessel from outside the EU. However, there are provisions for this VAT to be relieved when an EU VAT paid vessel returns to the EU, refer to sub-section 3.4. If an EU VAT paid vessel leaves the EU, and whilst outside the EU it is sold, the new owner will, unless eligible for one of the reliefs described in this Notice, be liable to pay VAT if the vessel is brought back into the EU. Do I have to pay VAT on a vessel intended to be kept outside the EU? If you are planning to buy a pleasure craft in the UK but intend to keep it permanently outside the Community, you may be eligible to purchase it VAT-free using the Sailaway Boat Scheme. The scheme does not apply to vessels which are for business use or which are exported in the normal way as cargo. To obtain relief under this scheme, you will need to complete form VAT 436 which must be certified at the last point of departure from the EU. VAT Notice 703/2 Sailaway Boats explains the scheme in more detail and describes the additional procedures that you will need to follow. In all cases, the UKBA require prior notice of departure. HMRC are aware that VAT avoidance schemes are marketed in the pleasure craft sector. The schemes typically involve artificial leasing or chartering arrangements under which the user acquires a new pleasure craft which is claimed to have 'VAT paid' status while, in reality, paying no VAT (or a minimal amount of VAT). If there is evidence to suggest a vessel has been purchased through such a scheme, HMRC may investigate with a view to recovering any unpaid VAT. It is also possible that interest and penalties may be charged in relation to any unpaid VAT. If you are purchasing a used pleasure craft which has previously been subject to a leasing or chartering arrangement you should be alert to the possibility that it might have been supplied through a VAT avoidance scheme. 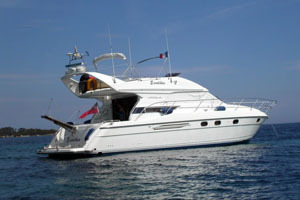 Where a company owned boat, on which VAT has been reclaimed, is sold, VAT must be charged on the full value of the sale.